Marlborough Friends is a Christ-Centered Meeting of the Religious Society of Friends (Quakers). 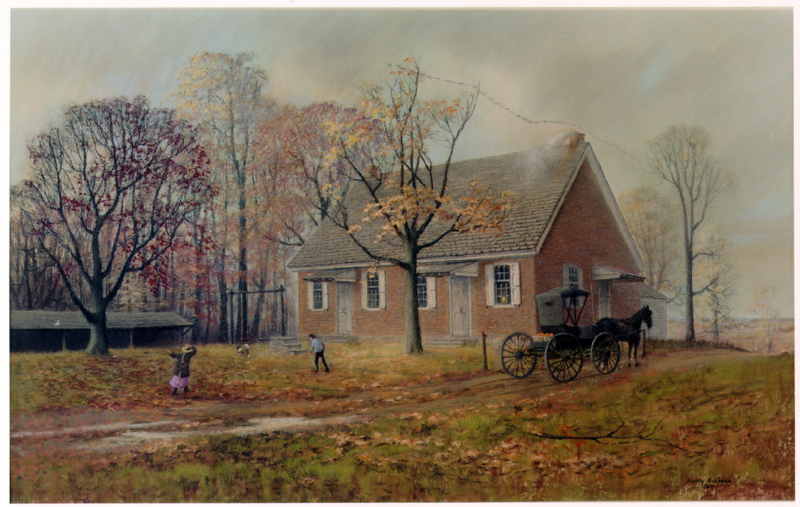 Our Meetinghouse is located in the center of the village of Marlborough, near Kennett Square PA. Built in 1801, it overlooks scenic Chester County farm fields and holds a special place in local history. We are proud that our well-preserved building is on several historic tours. But the more important duty we perform is to provide an environment in which God is found. Toward this end, we offer a form of worship which is simple, pure, and spiritual. Live in the dominion of the life that is hid in God,...And live in the power of God, and of life, that ye may see over the day of tempest, over the day of darkness, and blackness, and mists: and feel, and know, and come into that which comprehends the world; that ye all may be guided with wisdom, and ordered to God's glory.